Aikatsu! – 01 | Mezashite! We at Mezashite! 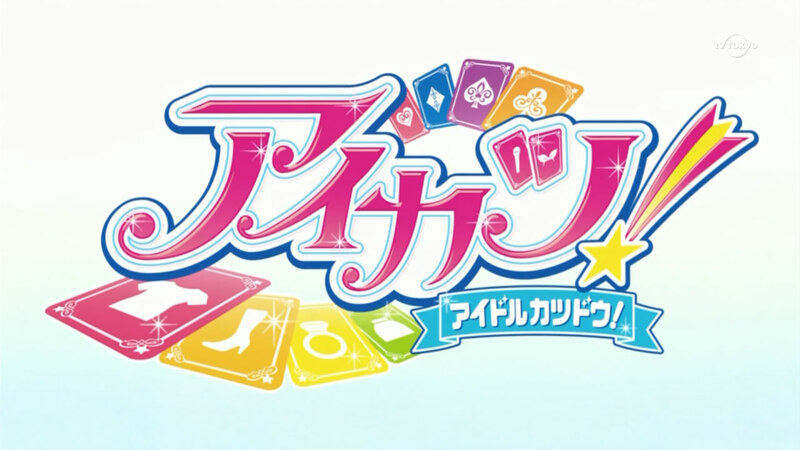 subs are proud to present you with our first release, episode 1 of Aikatsu! Based on a brand new collectible card game by Bandai, this follows the story of Hoshimiya Ichigo, a first year middle school girl who’s not sure what she wants to do when she grows up. That is, until she goes to see her first live idol concert and gets inspired by the wonderful Kanzaki Mitsuki. , which literally means “Idol Activities”. We’ve decided to leave it as-is, due to how often it’s used and the dissonance that usually comes with reading and hearing different things. As a second note, there’s a line that goes “We’ll take that ladle and turn it into a mic!” This line isn’t some sort of proverb or metaphor; even the Japanese are amused by it. Hopefully you are too. Edit: As it stands, we’ll be keeping to just 720p releases for now. Also, there are currently no plans to make available DDL or XDCC right now, so we apologize for any inconvenience. I love you for subbing this show. Thank you so much. Nice subs, no major mistaeks or TL errors from waht I can see. Subs could need more vertical padding, but that’s a minor complaint. If you guys need any help on this just give us a holler. Thanks a lot for the subs. Thanks a million for subbing this!!! Thank you very much for picking up this show! Will do. We just wanted to get a release out quickly, but the OP and ED will have romaji from now on. The subtitle outline is a bit too thick for my liking. Would you consider trimming it down from 4.0 to around 2.5? Thank you for this show! Hope you guys stay alive when this is over. You know we gotta be faster Maceart lol. Otaku will die without their subs. Be patient, we’re releasing episode 2 tonight. Just remember how it took until Thursday past midnight last week. Just making sure, since it looks like you guys are the only ones that want to sub it hehe.